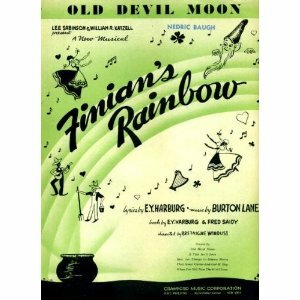 “Old Devil Moon” was recorded on August 6, 1954 and released in 1955 on the album Cloud 7. “Old Devil Moon” was recorded on January 18, 1967 and released that year on the album Tony Makes It Happen! It was arranged by Marion Evans. 1967: Columbia LP 12″: CS 9453 — Tony Makes It Happen! 1967: Columbia LP 12″: CL 2653 — Tony Makes It Happen! 2011: Disc #34 in The Tony Bennett Complete Collection (88697874602-JK33) Tony Makes It Happen! “Old Devil Moon” was recorded on January 31, 1971 and released that year on the album Get Happy with The London Philharmonic Orchestra. It was arranged by Marion Evans. “Old Devil Moon” was recorded and televised live on April 12, 1994 on MTV. The MTV Unplugged album was released in June of that year. The songs from the televised concert were arranged by Tony Bennett and the Ralph Sharon Trio.